Episode 151 features Nora Sadik, who hails from Urbana, Illinois. Nora is a Master’s student at the University of Illinois at Urbana-Champaign. She is studying environmental engineering with an emphasis on water quality in the developing world. She enjoys creative activities such as painting and cooking and also enjoys live music. Nora shares that she has always had a pull toward human health. She’s had a drive to help people, but it’s really the people helping her. Listen in to a great conversation that covers a lot of ground. We talk about how women don’t take as many risks, that we’re perhaps wired to be cautious and protect ourselves. 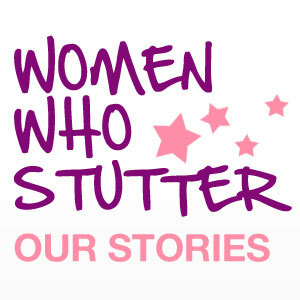 We relate that to women who stutter, and talk about protecting ourselves based on who we are and our feelings about stuttering. We talk about thinking about what the other person is thinking about us when we are in conversation. We create fear, which can be consuming and exhausting. And we talk about Nora’s experience as a Keynote speaker at a conference for girls called “Authentic Voices.” She shares that her talk was about her journey toward self-acceptance with her speech and how self acceptance of any challenge we have is important to empower girls.